Thomas, Clemence and their team welcome you around their new winter menu and unavoidable (ravioli, foie gras) and declination of Savoyard specialties (fondue Beaufort La Plagne, raclette with raw milk mountain, tartiflette, pierrade ...). They suggest you a choice of cooked daily specials home every afternoon. You will find a friendly, convivial atmosphere with quality regional products, artisan cured meats. A cooking meat over a wood fire (beef ribs, meat gallows, steak ...) accompanied by generous and tasty toppings like the famous potato gratin, and home fries. Remember the barrage of homemade desserts. A selection of wines of Savoie and unearthed treasures at all prices, will accompany your meal. 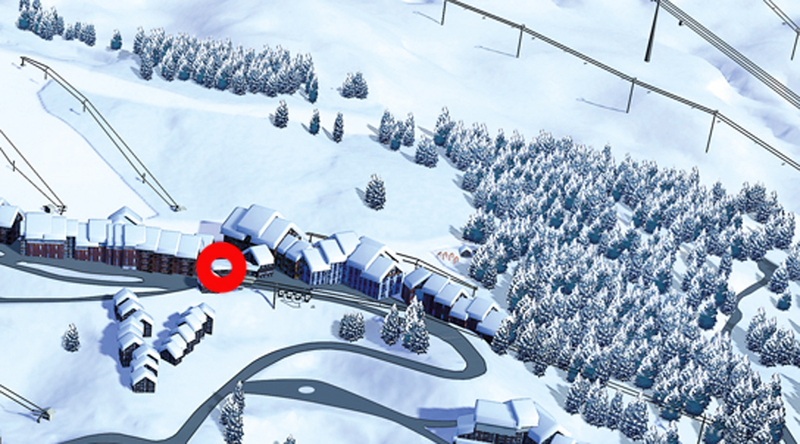 - At the arrival of Télébus and free shuttle between Plagne Soleil and Plagne Villages. - Service from 11.30 am. - Service in evening from 6.pm. - 2 rooms on2 levels. - Cooking in wood fire. - Home made dish of the day.